First off, apologies for yet another long hiatus from the blog. I'll spare you the details but I made some changes in my professional life that have required full attention these past few months. Currently between jobs, I've allowed myself some time off and have spent the past two weeks in glorious Brooklyn actually appreciating the summer here! It's my fourth summer since moving down here and I'm only now seeing some of the goodness to this season that I've missed all these years. 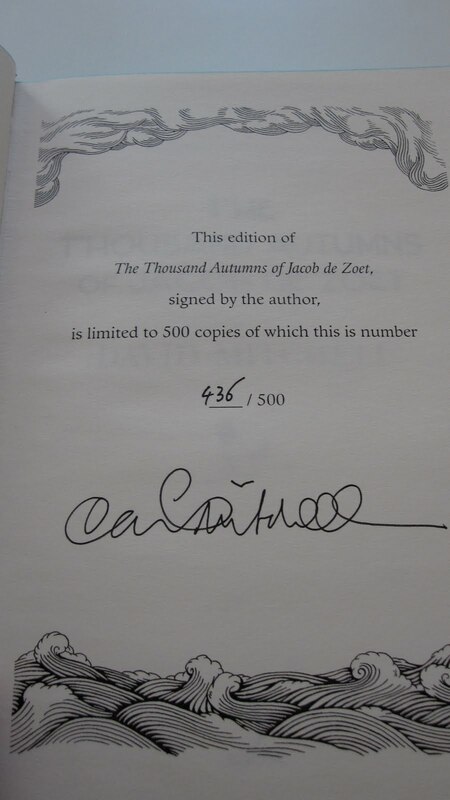 I've spent many afternoons reading in Prospect Park, getting so unbelievably lost in one of the best books I've read in a long time, The Thousand Autumns of Jacob De Zoet. 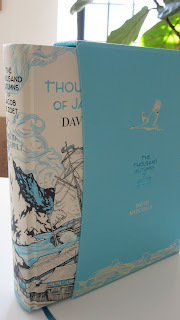 The Thousand Autumns of Jacob De Zoet is set in 1799 and follows the eponymous Dutch clerk who was sent to Dejima island in Japan to assist in correcting the East India Company's corrupt bookkeeping. While I'm only about 200 pages in (you can see by the ribbon in the photo above), this book is surely one of the richest, most absorbing historical fiction novels I've ever encountered. 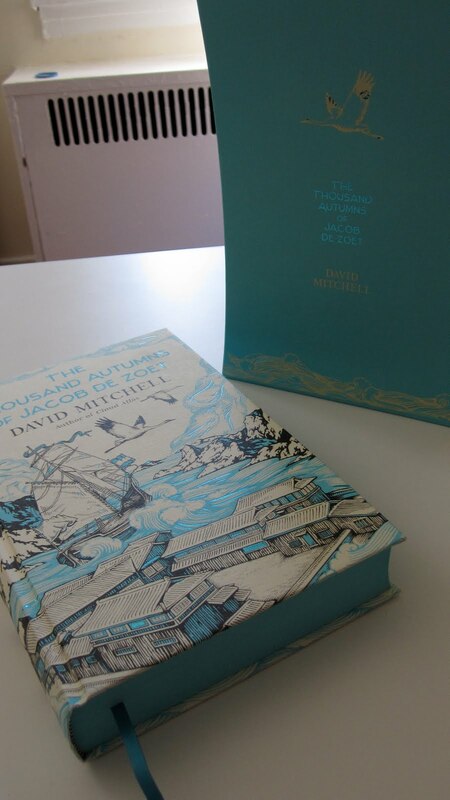 Mitchell balances his vast knowledge of the era with a masterful level of storytelling--it's a remarkable achievement. Also remarkable is the production of this book. 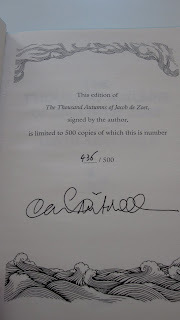 The copy you see in these photos is one 500 signed and numbered editions published by Sceptre simultaneously with the book's release in the UK last month (I had a pre-order in for it as early as March through amazon.co.uk). Unfortunately for you readers in the US, our local edition of this is nowhere near as beautiful. If you're interested in the book, I'd recommend ordering it from the UK. Mitchell's doing quite a bit of touring for this book, so a signed copy shouldn't be that hard to come by.